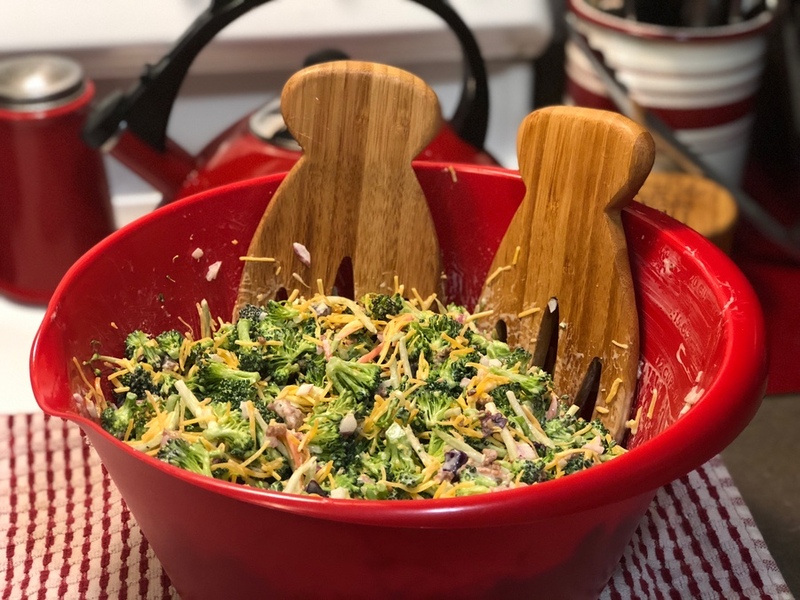 As part of our “Summer Gatherings” recipes series this week we bring you a delicious Keto Broccoli and Bacon Salad. Broccoli salad has long been a favorite for BBQs, and other family gatherings, you’ll find it at many grocery store deli’s. The problem is that most are loaded with sugar, and other high fructose carbs like, cranberries and raisins, which are not best for Keto. Well we’ve Ketofied this recipe and we guarantee that everyone will love it! If you like these types of recipes consider subscribing to our YouTube channel. Add 1 Cup of Bacon Crumples (we suggest heating these up by sauting in butter to release there flavor) *If your using real bacon ignore that suggestion. Begin to mix all of your ingredients well, and mix until well incorporated. Add 2 Tablespoons of Range Dressing (or any dressing of your choice *Or you can skip this step). The salad gets better as it sits, we suggest you make this overnight if possible. As you mix, be sure to mix well from the bottom up. Before serving we suggest that you mix well as the dressing will tend to settle. ARE YOU INTERESTED IN STARTING THE KETO DIET, AND FIND YOURSELF CONFUSED BY ALL OF THE INFORMATION OUT THERE!? Some of the best information on starting the Keto Diet can be found at a site called Ruled.me. This site has lots of free information, but if you want a step by step plan I would suggest the Keto Academy Package. This is what I purchased and I still reference the material 18 months later. From time to time we will recommend products and services that we have used, and have found to be very good products or services. We may get a small percentage of a purchase you make, through one of the affiliate links that we included. Any payment we receive is paid to us by the company (not you). 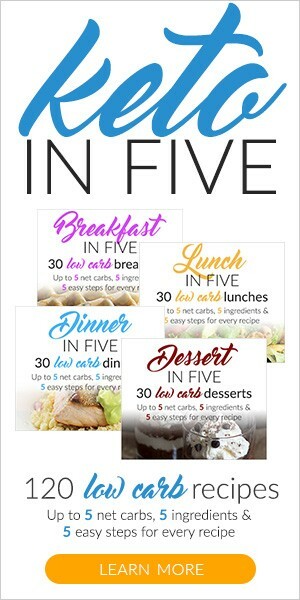 These small payments help us to continue to produce keto recipes and other content as we seek to spread the message about the Keto Diet and the health benefits of the keto lifestyle. Thank you for your support, it is appreciated. 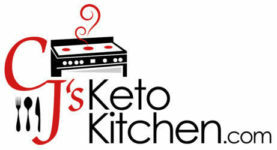 CjsKetoKitchen is a participant in the Amazon Services LLC Associates Program, an affiliate advertising program designed to provide a means for sites to earn advertising fees by advertising and linking to products on Amazon.com. That’s awesome! Thanks for letting us know.